Facebook’s march into Africa continues this time launching translations in the Hausa language further closing its digital grasp on Africans the continent over. Negativity aside, the move is a great boost for the Hausa language and especially Hausa translations. We are sure readers will agree that languages need to embrace the digital age to ensure their survival. Facebook bringing Hausa into the fray will give localizers and translators working on the platforms the chance to establish some key digital phrases for the next generations as well as for the now. For example, rather than go with “What’s on your mind“ as the question for your status, the Hausa localization team opted for “Mene ne a zuciyarka” meaning literally, ‘‘what is on your heart.’‘ A nice choice no? However, it is far from perfect as some Hausa speakers have been noting on social media. Hausa speakers can switch the language setting to Hausa by navigating to settings, clicking on “Language” on the left menu and then editing the “What language do you want to use Facebook in” setting. Facebook is now also available in some other African languages notably Malagasy for Madagascar, Tamazight in Morocco, Somali in Somalia. 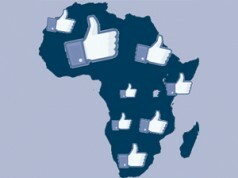 Is Facebook good for Africa? We recommend this interesting article by Maeve Shearlaw in The Guardian. We were very pleased to see her drawing attention to many things we have been witnessing.